Last week I visited the Saatchi Gallery to take a much anticipated wander around The Little Black Jacket Exhibition. The exhibit revisits the Chanel classic and coincides with Karl Lagerfeld's latest book release, 'The Little Black Jacket: Chanel's classic revisited'. An impressive collection of 113 portraits - all photographed by Karl himself, cover the walls of the Saatchi Gallery in Chelsea. 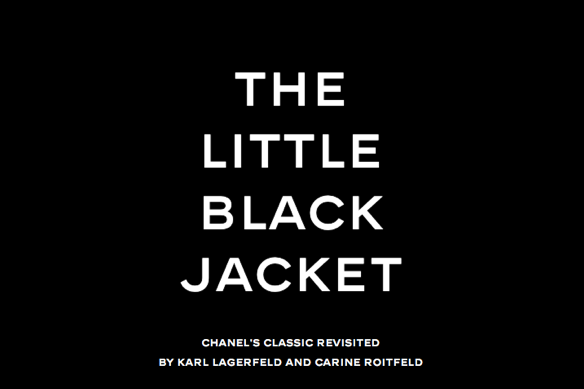 Having heard fantastic things about the exhibition, I decided to take a little trip over to King's Road and get lost in Lagerfeld's take on the iconic Little Black Jacket. I loved every minute and spent the entire afternoon wandering up and down the Saatchi Gallery trying to decide which portrait was my favourite. It's a beautifully diverse collection of photographs featuring everyone from Anna Wintour to Kanye West; A wonderful tribute to Coco Chanel and her legendary Little Black Jacket. Have you been to The Little Black Jacket Exhibition yet? Beautiful beautiful beautiful! Great post! Thanks for sharing! I am your new follower! Would you like to follow me back?